Minor league baseball is rapidly approaching for the 2019 season, and the minor league clubs in Fort Wayne and South Bend are already hard at work solidifying its promotions and talent bookings. Both teams have announced its need for singers for select national anthem performances. Singers, instrumentalists, and groups are welcomed to try out. 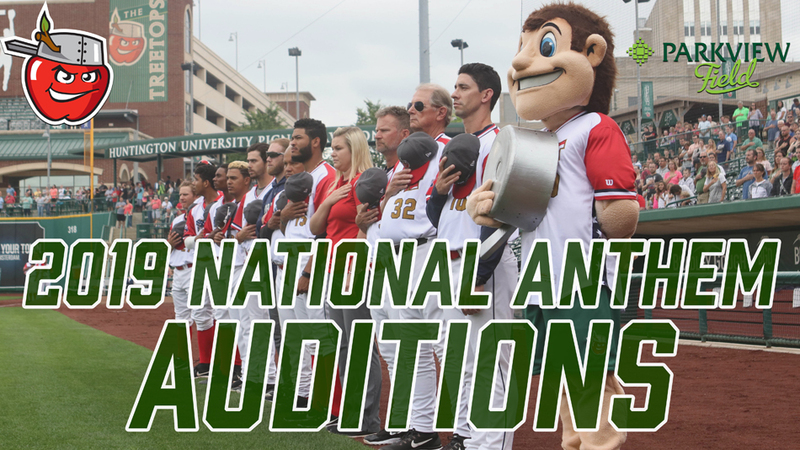 Auditions will be held at Parkview Field on Tuesday, Feb. 26 (4-6 p.m.), Wednesday, Feb. 27 (4-6 p.m.), and Saturday, March 2 (11 a.m.–2 p.m.). Those interested in trying out must schedule a tryout time in advance by contacting Rachel Lopez at 260-407-2808 or [email protected]. Note that in recent years all tryout spots have been filled within 24-48 hours. Therefore, if interested in auditioning, schedule a tryout slot as quickly as possible. Keep in mind that not everyone who tries out will earn an opportunity to perform before a game. Tryout participants will be evaluated by musical representatives from County Line Church of God, First Missionary Church of Fort Wayne, and Hope Missionary Church, as well as by TinCaps staff members. Single game tickets for the 2019 season go on sale Wednesday, Feb. 13 at 8 a.m. Fans who purchase tickets in person at Parkview Field on Wednesday from 8-10 a.m. will be treated to a free breakfast buffet in the Suite Level Lounge. Meanwhile, season ticket plans and group outings are already available. More information is available at TinCaps.com. The deadline to submit video auditions is Monday, February 25, 2019. Applicants are encouraged to send their audition via email or DVD by dropping off at Four Winds Field. After a diligent judging period, some applicants may be asked to perform live for a panel of judges in a closed audition. The final decisions will be made in March. All auditions must be submitted as a video. Audio files, tapes or CDs will not be accepted. Videos will be accepted as a downloadable file, video link such as YouTube or Google Drive, or DVD. Videos can also be recorded on a mobile device. The Audition form must accompany your submission. Performances of the national anthem are not to exceed two minutes. Those who audition in groups must include all members in the audition video. All applications must be submitted by 5 p.m. on February 25, 2019, to be considered.